James Caan to Billy Friedkin, and the list goes on & on. I was in the music business for 20 years. In the late 1970's I created and managed local L.A. rock bands. I wrote many of the songs the these bands would perform in the studio and live at local club gigs. Over the years I have spent, Hundreds of thousands of dollars of my own money developing new acts and talent. In fact I was with Prince for six years, and I put Lenny Kravitz in his first band. In 1981 I discovered another new artist. His name was Tony Lemans. After several years of working together and struggling our hard work began to pay off. Bob Cavallo is now the chairman of Hollywood Records, Disney's record label. Tony was being groomed for super stardom and the movies as well as collaborator for many other major musicians and artists. He wrote songs on Donnie Osmond's comeback album as well as Mick Jaggar's 1993 release "Voodoo Lounge". Tony Lemans was one of those acts that comes around once-in-a-lifetime and he was all mine. In June of 1992 we had started production on our second album when an early morning telephone call changed everything. That morning my life changed forever. Tony and I worked together for 11 years and I put everything I had into developing his career. I gave up... I give up on life. or Prince, (our executive producer). I was left with nothing. No money, No business partner and most of all no more dreams. 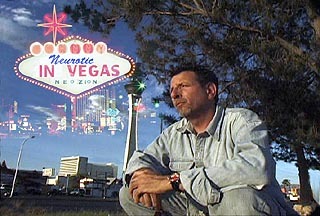 I lost everything, and became a Crazed Homeless Crack Head wandering the streets of Las Vegas, alone with no one. Most people that go as far down as I did, don't ever come back. After several more years of Crack abuse I finally stopped. habit my life has completely changed back. there is still a glimmer of hope. as well as write and produce short films. One of our short films is called "Johnny Neurotic, in Vegas tales of a crack head "
takes us on a fast-paced roller-coaster ride through hell . It won best comedy at the DV expo 2001. It could really help some people facing the same things that I was faced with. a small time rock'n'roll manager that gives his big break and as a result of a tragic auto accident and his artist's death he ends up a homeless drug addict. Sounds a bit familiar doesn't it? 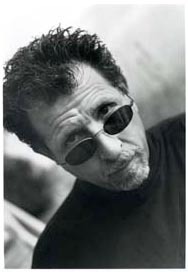 John Mendel is featured as Johnny Neurotic. Directed and Edited by Curt LaFurney. Director of Photography by Brian Stuart Hanish.